How Long Will The NordicTrack T 6.5S Last? Two aspects of general knowledge arise when we review treadmills in this price range. Specifically, regarding the price, one should not purchase a $600 dollar treadmill and expect it to last longer than a few years. Companies simply cannot afford to put as much value in the lower end models as they do in the higher end. In regard to all workout machines, one of the determining factors of a treadmill’s life is the environment that it is kept in. If you keep your treadmill in the sweltering garage, constantly plugged in, and filled with accumulated grime, then it will last as long as a pack of diet cokes at a teacher’s convention. Keeping this in mind, the T6.5S treadmill does show a bit more promise than some of the other machines on the market. The sturdy build and standard warranty are indicative of a decent amount of durability. Thus, a light user who enjoys walking will likely be able to use the T6.5S for quite a while. NordicTrack’s T6.5S treadmill has won second place in our 2019 Best Buy List for the $400 to $699 category. NordicTrack has built up their name in the recent years by improving the quality of their machines; they have also become known for extending a hand to the portion of the fitness market that enjoys workout programming. The T6.5S is a good example of NordicTrack’s ability to balance affordability, style, and substance. This treadmill has been equipped with a 5-inch Backlit Display, SpaceSaver Design, Dual CardioGrips, FlexSelect, and One Touch Controls. 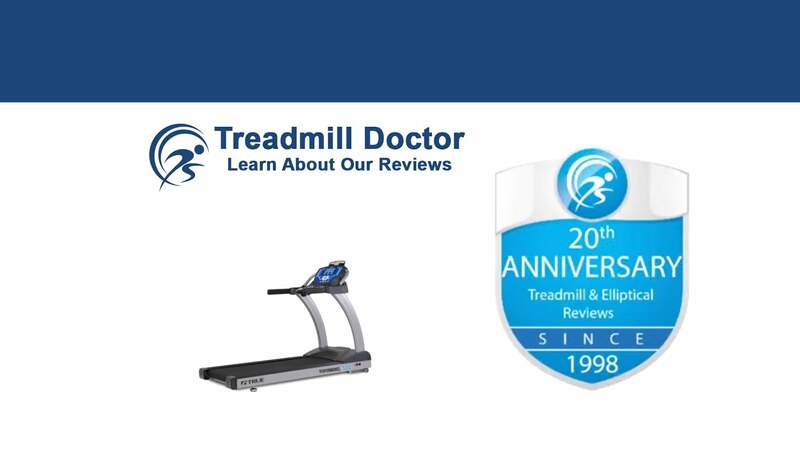 But the features that we like better are the T6.5S treadmill's sturdy build, 2.6 commercial horsepower, 22 x 55-inch walking area, and a standard warranty that helps to place it above other machines in this price range. You may hear heavily advertised terms for particular features, but most of these terms depict features that are really nothing special. Take the 5-inch Backlit Display, for example. The NordicTrack T6.5S treadmill’s console is actually considered small in comparison to other treadmills in the same price range. NordicTrack’s SpaceSaver Design is simply their term for a folding treadmill which is nothing special. And the Dual CardioGrips are just two metal plates on the handles that detect heart rate- something that nearly every treadmill over three-hundred-dollars has. NordicTrack has also included FlexSelect with this treadmill. If you’re unfamiliar with FlexSelect, this is just fancy terminology for the shocks that are placed beneath the walking deck to help absorb your weight. While these are good features, they are not uncommon and in this price range, they are not remarkable. Life can be humorous at times. We each have some sort of education, respectable jobs, comfortable homes, and outrageously expensive cars. Still, we all seem to go little bananas over the difference between the original and the double stuffed Oreo. The difference is so slight yet carries so much weight for milk's best friend. Likewise, NordicTrack has found a minuscule feature that has helped the T6.5S treadmill stand out from the others- two inches. That’s right, a two-inch wider belt helps provide your boogie room and the T6.5S’s advantage. The NordicTrack T6.5S treadmill has one of the widest walking areas among the treadmills in this price range which is a satisfying addition. As though two inches isn't enough, NordicTrack also built a respectably sturdy machine for this price range. Though we dog on Icon’s customer service department, we do like to give credit where credit is due. We like the T6.5S treadmill's twenty built-in programs and its stronger, heavier build. Coupled with a standard, year-long parts and labor warranty, one can recognize the added value in the T6.5S. Even so, it is important to keep in mind that the NordicTrack T6.5S treadmill is still branded by its price tag. Six-hundred dollars in the treadmill world will provide you with the standard ten percent incline capability and the ability to reach ten miles per hour. NordicTrack, as always, has included a few more built-in workout programs than some of the other machines. In the T6.5S's case, they have actually reached a balance between style and substance. With more workout programs, a sturdy build, and a decent warranty, the T6.5S treadmill is a decent value for the price. Alas, where would one of our NordicTrack reviews be without the stab against Icon’s Customer Service? Though NordicTrack has continued to improve their products, their customer service department could use a reworking. Buying an Icon (NordicTrack’s parent company) product runs the risk of having to deal with long, frustrating phone calls which should go into one’s decision making. Warranty This machine comes guaranteed with a lifetime frame warranty, a 25-year motor warranty, and a 1-year parts and labor warranty. Unfortunately, the Nordictrack T 6.5 S treadmill has not faired as well in the past. The quality of basic treadmills such as the T6.5S has proved to not be all too impressive and has, consequently, compelled poor reviews. We have warned against serious users from purchasing inexpensive machines that are not likely to withstand heavy use. NordicTrack has taken the initiative to add minor details such as a wider walking area and components that make for a better build with the T6.5S. Accompanied by a standard warranty, the T6.5S certainly stands out among other machines in this price range. While we have awarded the T6.5S second place in our 2019 Best Buy list, we do caution those looking in the $400 to $699 price range. Be that as it may, the T6.5S is a respectable choice for a light exerciser looking for a starter treadmill.